A cool mountain climate and a vineyard made up of different small parcels of vines provide us with wines of great diversity and special character. Our 180 tiny parcels of mountain vines, which include some over 100 years old, are the jewel in our crown. There is great diversity of terroir in the vineyards with a range of situations, exposures, age of vines and vine characteristics. Although the altitude is not extremely high (550 metres), the climate is cold because of the proximity of the Pyrenees. The difference between diurnal and night temperatures is very wide, and this leads to a slower and subtler ripening of the grapes. The soils are generally shallow with fine texture and limestone bedrock and an abundance of gravel. This high number of small parcels and the area’s special climatic conditions greatly influence our different grape varieties and bring unique character to Sada’s wines. 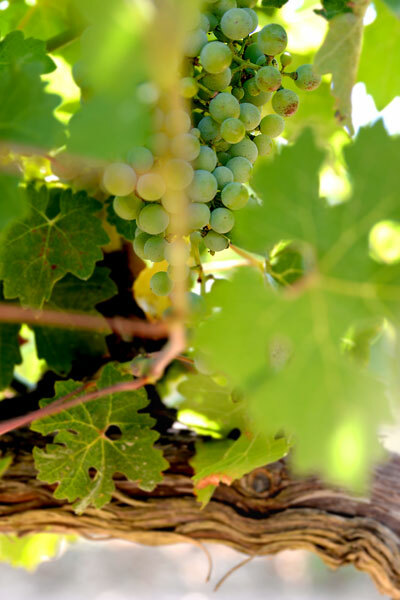 The main grape variety in our vineyard is Grenache, which makes up almost three-quarters of the vines. 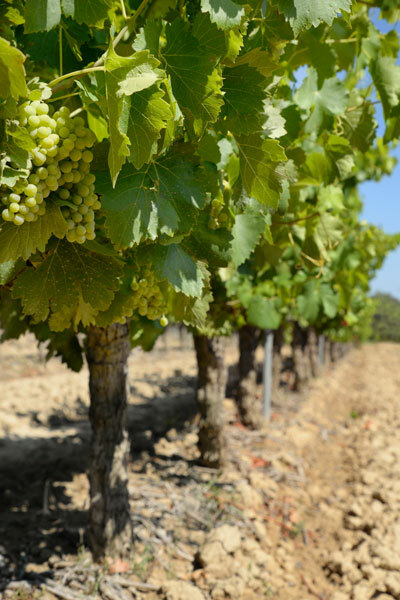 We also grow Tempranillo, as well as the French varieties Cabernet Sauvignon and Merlot. A crucial factor to maintain the quality and special character of our wines is the preservation of the diversity and terroir of our vineyard. This is why we vinify the grapes of each parcel separately, according to grape variety, soil-type and age of vines. We have over 150 concrete vats of different capacities to carry out this process. Another important quality factor, which brings individual character to our wines, is the use of indigenous yeasts for the fermentations. These yeasts exist in our vineyards in the skins of the grapes and help bring out that special character. The wine-making process begins in the vineyard by exercising good vine canopy management and careful monitoring of the vines. Our crew keeps a very close check on each of the plots right from the moment the vines are pruned until the grapes are picked, watching over each stage of the formation and ripening of the bunches. The wine-making process begins in the vines with careful and controlled management of the vineyard. The grapes are harvested at optimal ripeness after regular ripeness checks to analyse sugar levels as well as tannin ripeness in the skins and pips. Only when the grapes show perfect ripeness during the tasting of berries and after lab analysis, are they harvested and brought into the cellars. The rosés are made solely with red grapes using the traditional saignée method followed by fermentation at a controlled temperature. This process lowers crop yields and increases production costs. However, the quality of the wine is greatly increased. We leave our wines a short time in our original concrete vats to gain refinement as well as the characteristic aromas of all Sada wines. 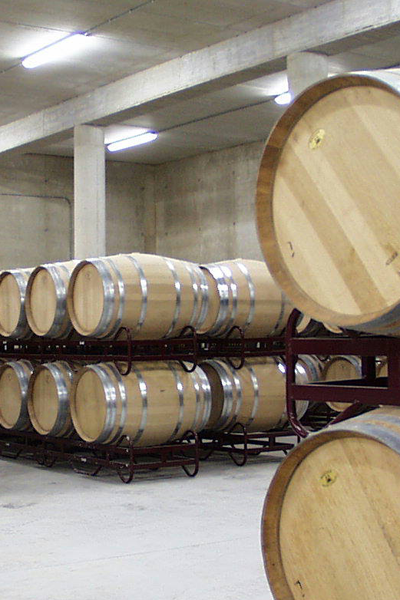 We age our wines in French and American oak barrels in our underground barrel cellar, which is free from natural light and at constant temperature and humidity. The rosé wines are made only from red grapes, using the traditional saignée method and a temperature-controlled fermentation. BODEGA SAN FRANCISCO JAVIER S. C.
© BODEGA SAN FRANCISCO JAVIER, S. COOP. 2016.